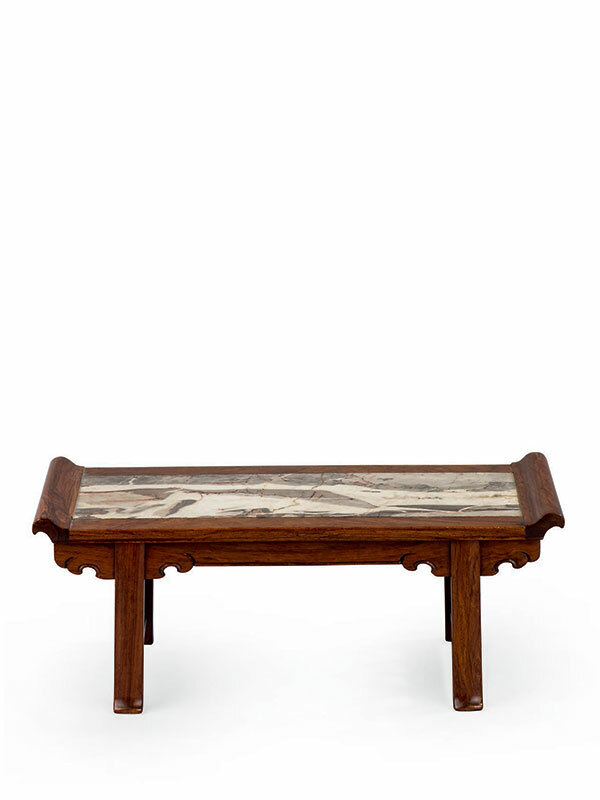 A miniature table made of huanghuali, supported on two pairs of recessed legs located at both ends. The rectangular top is inlaid with a slab of marble and has everted flanges above a shaped, beaded apron. 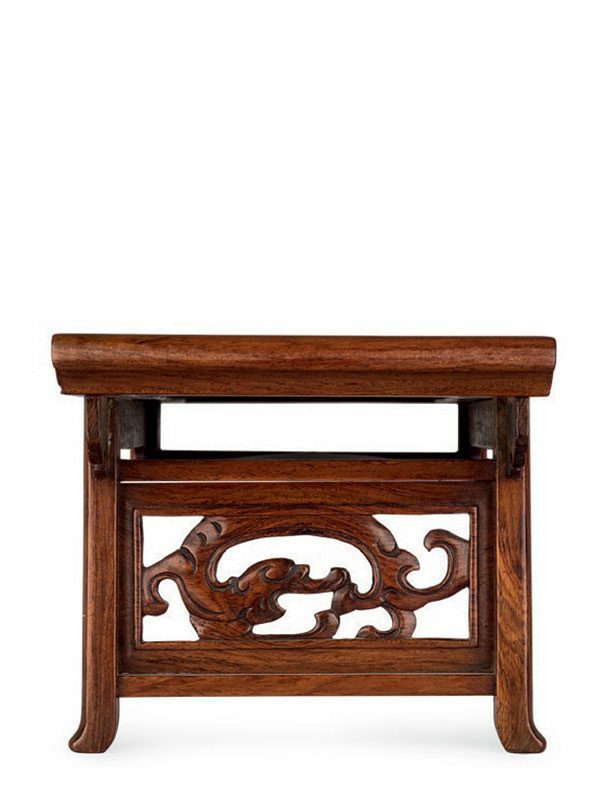 The frontward curving legs are supported by spandrels carved with chi dragons in openwork. The marble slab combines whitish and greyish colours, together with some linear red veins. The wood is well polished and well patinated. Provenance: the collection of Louise Hawley Stone (1904 – 1997), Toronto, Canada. She was the Royal Ontario Museum’s first volunteer and was also a major donor, fundraiser, Board member and committee chair.